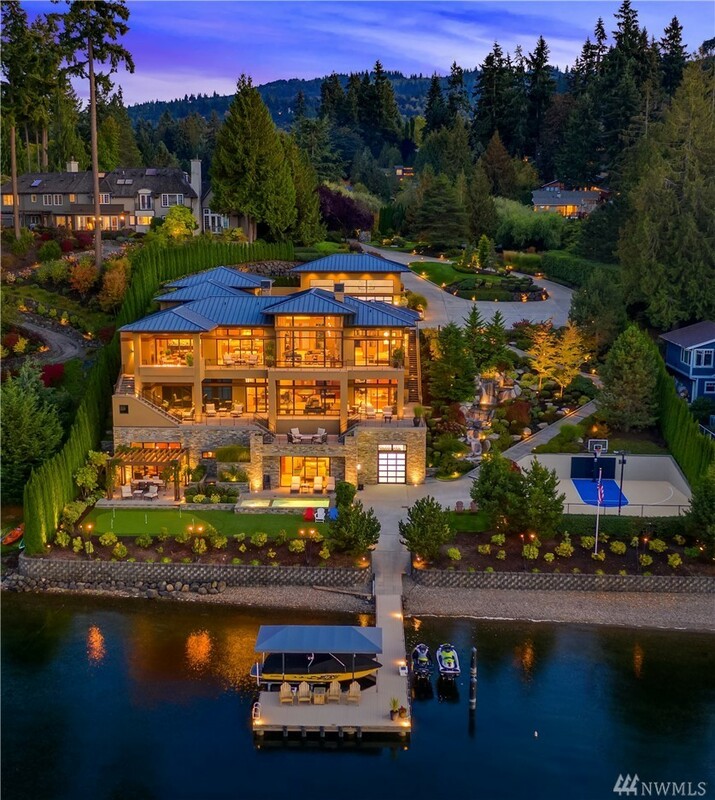 Extraordinary Brilliance on Lake Sammamish. A gated drive past lush gardens, leads to the remarkable 1.51 acre estate by Vassos Demetriou. Sited directly north, marvel at the sky & reflection on the lake as the sun rises & sets creating the perfect backdrop. Over 7,200 sq. ft. of unmatched detail: marble, granite, mahogany, zebra wood, stone. An entertaining paradise: pool, sport court, putting green, waterfalls, 168 ft of waterfront, private dock. Dramatic. Spectacular. Rare. There is no other!